Posted on November 27, 2018. Filed under Members News. Be the first to comment. Despite the steep inflation and currency depreciation, top executives of Pag-IBIG Fund remain confident that they can maintain the low interest rates of the agency’s home loans and cash loans. Pag-IBIG Fund currently offers the best rates in its loan programs. 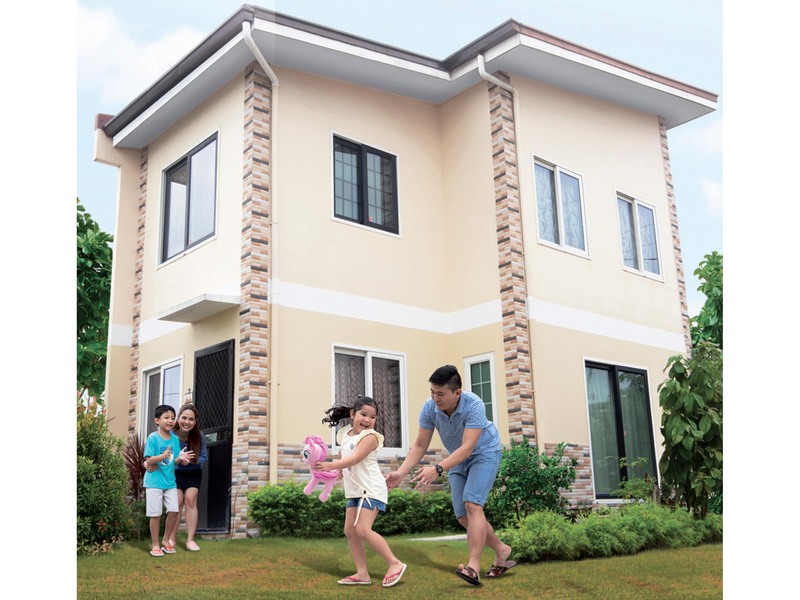 Pag-IBIG home loans offer the lowest rate of 3% per annum for loans up to P 580,000 under the Affordable Housing Program and rates as low as 5.375% per annum for loans up to P 6 million under the Fund’s regular housing loan program. Meanwhile, Short-Term Loans or cash loan programs known as Multi-Purpose Loan and Calamity Loan come with rates of 10.5% per annum and 5.95% per annum, respectively. “The year is not over yet but Pag-IBIG Fund already performed better than expected. There was strong demand for and availment of our housing and cash loans in the last three quarters. We are very confident that the rates of Pag-IBIG Fund will remain low and we don’t foresee an increase in housing interest rates in the next few years because of the strong financial standing of the Fund. These low rates directly benefit Pag-IBIG members and contributes greatly to the anti-poverty agenda of the administration of President Rodrigo Roa Duterte and the BALAI Filipino program of the government’s housing sector,” said Sec. Eduardo D. del Rosario, Chairperson of the Housing and Urban Development Coordinating Council (HUDCC) and Pag-IBIG Fund Board. From January to September, Pag-IBIG released over P 51.76 billion to help borrowers buy 62,665 homes. Cash loans, on the other hand, amounted to P 37.42 billion which was released to more than 1.8 million borrowers. Home loans released in the last nine months are higher by 14% in terms of amount released and 11% higher in the number of homes financed compared to the same period last year. Cash loans, on the other hand, remained steady but the number of loans approved increased 7%. “Aside from the strong demand for our home loan programs, our efforts to improve our home loan portfolio have paid off. We maintained our performing loans ratio at 90% even as we cater to minimum-wage earners who are shunned by banks. And because we are now more efficient, we were able to achieve double digit growth in our home loan collections. We collected P 41.49 billion in home loan payments from January to September. This is 10% higher than the P 37.80 billion we collected in the same period last year. Cash loan payments amounted to P 40.08 billion, which is an increase of 2% from 2017,” said Pag-IBIG Fund Chief Executive Officer Acmad Rizaldy P. Moti. CEO Moti added that with such strong financial showing, Pag-IBIG Fund will again achieve record-breaking income in 2018, higher than the P 30.27 billion net income the Fund posted in 2017. “We expect to maintain this upward trajectory until the year ends. So, we are set to surpass our P 30.6-billion net income target by P 1 billion or P 2 billion despite offering such low rates. This is the ultimate win-win situation because our borrowers are treated to one of the lowest, if not the lowest, rates in the market. The low rates fuel demand, which in turn helps improve our net income. And when our net income is high, all Pag-IBIG members can expect to benefit from dividend payouts which are much higher than what they earn from other financial institutions. We foresee our dividend rate to be somewhere between 6.5% and 7%, which will be credited to members’ accounts early next year. All these benefits are being enjoyed by our members without increasing the monthly mandatory membership savings of only P100 since 1982. This really is what Lingkod Pag-IBIG is all about,” CEO Moti said.